Since the inception of our charitable giving program in 2013, our charitable donations have exceeded $1,500,000 and reached more than 250 charitable organizations across the globe. Our commitment to creating brighter futures is carried out by the people and organizations we support. Taking Root Farms provides autistic adults the ability to be outdoors, working in gardens with their hands, learning building and car repair skills and the chance to offer their services to the community. The community can support these farms buy purchasing produce, farm raised eggs and locally grown food. Jackson County Food 4 Kids provides weekly food packs to food insecure K-5th grade children for weekends and holiday breaks during the school year. The food pack covers all meals for that child over the weekend. For longer breaks, each child is given a voucher for their local grocery store to cover all meals. Special K Ranch is a place where people with developmental disabilities live, learn, and work with loving and caring advisers who are committed to sharing their lives in this very special way. Residents are learning independent living and vocational skills through participation in daily personal, household, and ranch responsibilities. 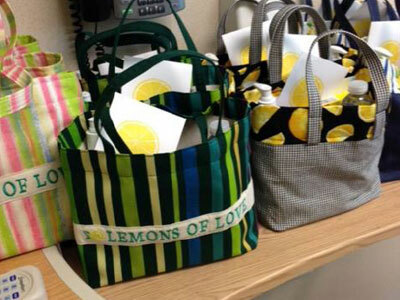 Lemons of Love is based on the well-known expression, “When life gives you lemons, make lemonade,” but with a twist, “When life gives you lemons – laugh out loud.” LOL bags are hand made by volunteer stitchers with lots of love and are filled with essential items for healing during chemo treatments. 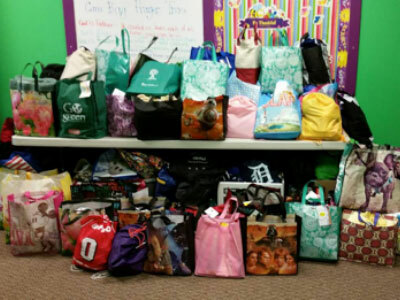 These bags are delivered to local hospitals and also sent to cancer patients nationwide. 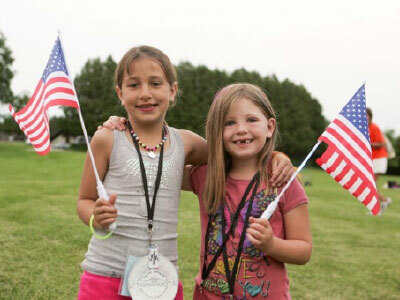 Camp Hometown Heroes is a national free week-long overnight summer camp for children and siblings between the ages of seven to seventeen of fallen U.S. service members who died in any manner. During their visit to camp, perhaps for the first time in their young lives, the children have the opportunity to openly discuss their feelings and experiences. Through the support of pediatric grief specialists, the children partake in art and music therapy programs and optional discussion groups. 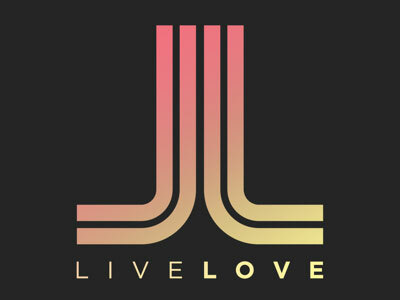 Live Love provides service and community events in Chandler that educate and support families, so they can sustain a more healthy and sustainable way of life. They completely remodeled and overhauled an old drug house in downtown Chandler that now serves as a primary site for these empowering events. This change is reminder of restoration to that neighborhood. Their next endeavor is the building of an educational center and farm in the same neighborhood, so the community can learn how to produce and sustain healthy food instead of resorting to unhealthy eating practices. 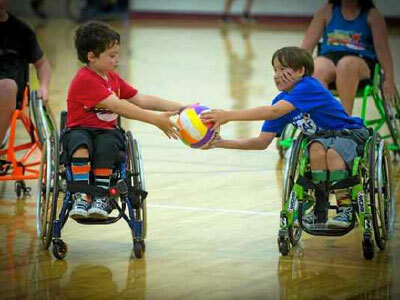 Ability First Sports is a wheelchair sports camp designed to provide instructional & recreational sports opportunities to youth with physical disabilities. Sports range from the beginner through both the junior and national levels of athletic competition. Evening programs are designed to provide opportunities for leisure and social activities. 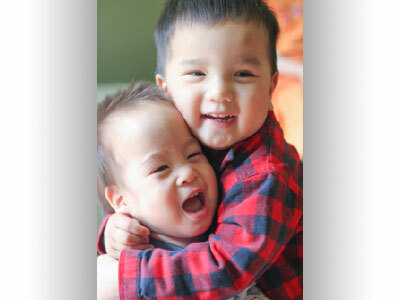 New Day Foster Home’s core mission is to provide life-saving surgeries and a loving home to orphans with special needs from around China. Since its founding in October 2000, New Day Foster Home has expanded its programs to reach more children living in government institutions across the country through outreach work like the Formula Project and other initiatives. Sharing Hope Ministries was birthed during the rebuilding process of Hurricane Katrina. The ministry sets up temporary sites in communities where natural disasters have taken place to help aid the people in those communities with their clean up efforts and the rebuilding process. Their base camps allow for teams of volunteers to come and aid in the clean up and rebuilding process. FACTS’ next project is to continue their work with the local food pantries, Salvation Army and blight/garbage cleanup, as well as the building of a brand-new park in an abandoned lot in the city of Flint, MI. The park will include a playground made completely of recycled materials, a sound garden and play equipment designed for handicapped children. FACTS wants the people of Flint to feel that they matter and that they should never give up, even though so many have given up on them. Hope Community Church and the Foster Care System Bags program have partnered with Lucas County Children’s Services to help the children coming into Foster Care on one of the most difficult days of their young lives. 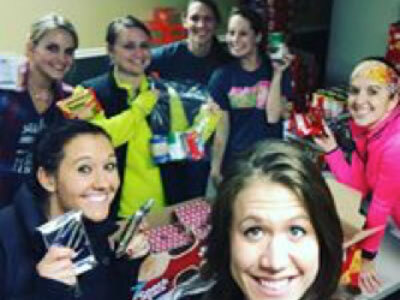 They organize a giving project every year where items are donated and put together in reusable bags that are given to children on the day they enter the foster care system to ensure that they know they are loved and special. Living Light Hope House is a residence that is owned and operated by Living Light for the purpose of practically serving those with special medical needs. The house will be ADA (Americans with Disabilities Act) compliant, which includes wide doorways, low sinks and counters, accessible showers, ramps or zero-grade transitions in and out of the house, and overall function that would afford a wheelchair-bound person the luxury of independence within the context of a family space. The first family that will inhabit Hope House has two wheelchair-bound children with disabilities. 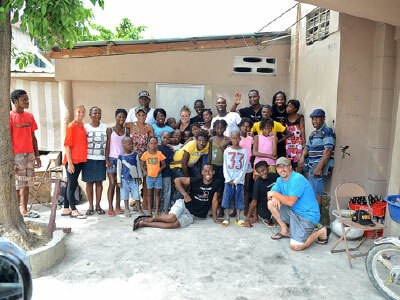 The Vertile House provides orphaned and abandoned youth in Carrefour, Haiti with a safe, stable and nurturing home. They empower each child with opportunities to envision and realize a healthy future. The donation from Norwex will help the Vertile foundation complete solar power for the house, making them 100% sustainable. Days for Girls is dedicated to creating a more free, dignified, and educated world, through providing lasting access to feminine hygiene solutions and health education in impoverished communities. Thus far, Days for Girls has reached over 640,000 women and girls. 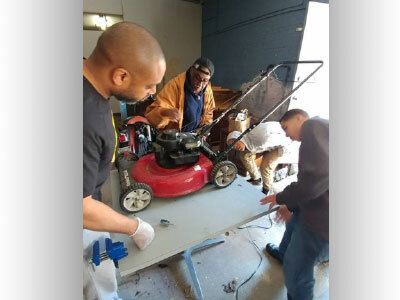 Project Restoration provides a Safe Haven for neighborhood children after school where they will learn life skills, such as lawn care and furniture restoration, to keep them on the right path and help them to become productive members of society. These children will be able to carry these skills through life, into entrepreneurial ventures, home ownership, and more. In August of 2016, Rebekah Spader passed away at the age of ten after a battle against Acute Myeloid Leukemia. During her battle she remained strong, brave and loved to help others. 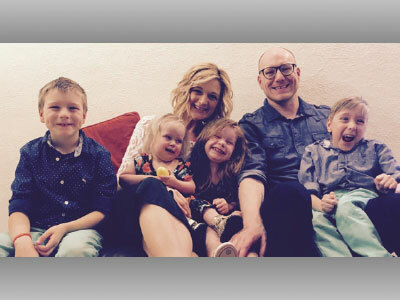 After Rebekah passed away, her parents decided they wanted to create a foundation in her honor to support families that are journeying through similar experiences and also give children who are compromised with medical conditions the opportunity to do things that they wouldn’t otherwise be able to. 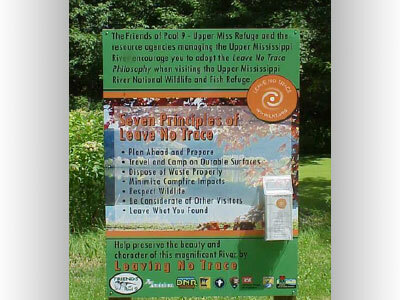 The mission of the Friends of Pool 9 is to conserve the cultural and natural resources within Pool 9 of the Upper Mississippi National Wildlife Refuge. Through River Day Clean Up events, children in the community have the opportunity to learn about caring for our environment and can participate in its care. Hasson Heights Playground Committee $15,000 The construction of the Hasson Heights Playground gave at-risk children in Hasson Heights, PA, a safe place to play freely and let their imaginations run wild. Brighter Tomorrows $10,000 Brighter Tomorrows provides women and children in abusive situations emergency shelter and transitional housing. Women are empowered to take control of the future for themselves and their children through counseling and life skills training. Center for Hope and Safety $10,000 Center for Hope and Safety provides support for domestic violence victims and their children through a broad range of services and programs aimed at ensuring these individuals are physically and emotionally prepared for self-sufficiency. Farm Rescue $10,000 Farm Rescue helps small-farm families overcome diicult circumstances through a team of volunteers who care for their farm and sustain the family’s livelihood as they recover from illness, injury or natural disaster. Sweet Dreams Foundation $10,000 Gives children with life-threatening illnesses and medically unable to leave their homes a safe haven. This organization brings comfort and joy by giving these children their dream bedrooms. Sole Hope $7,500 Makes shoes from recycled plastic and denim to protect Ugandan children from burrowing insects called jiggers, which can cause debilitating infections. They also provide jobs for local cobblers, along with medical care and housing for recovering children. Bremerton Backpack Brigade $5,000 Bremerton Backpack Brigade provides underserved children in the Bremerton, Washington area with a weekly backpack of food for their entire family, allowing these children to look forward to a brighter future without concern for their basic needs. Echo Farms $5,000 Echo Farms provides nutritious seeds to impoverished communities worldwide, teaching residents to plant and harvest crops through sustainable farming techniques, nutritional plants and appropriate technologies that will provide food for generations to come. The Environmental Education Internship Program at Au Sable Institute $5,000 The Environmental Education Internship Program educates children about the importance of caring for the natural world. Dedicated interns visit more than 2,000 local school children, instilling a love of nature through educational activities and science- based programs. Girls Love Mail $5,000 Girls Love mail provides women newly diagnosed with cancer a brighter outlook on the future via hand-written letters of encouragement and support. Each 2016 US National Conference attendee was also given the opportunity to write a letter to be delivered to one of these women. Journey to Dream—Kyle’s Place $5,000 Displaced and at-risk teens seeking a safe environment in which to stay receive basic necessities, medical care, counseling and other tools through this emergency shelter program. Living Water International $5,000 Creates sustainable water programs and provides hygiene and sanitation education to impoverished communities worldwide with little to no access to clean water. This donation will be used to provide a well to a small community in India. Montana Outdoor Science School $5,000 Montana Outdoor Science School provides a safe place for children of working parents to stay after school and leads educational activities designed to inspire curiosity, understanding and awareness about nature and our environment. Help the Hopeful $3,000 Help the Hopeful provides assistance to families with children who have extensive medical needs. This includes funding travel expenses, prescriptions, deductibles and other items not covered by health insurance. Kampn’s Life Village $2,000 Individuals with autism and related disorders are empowered to live independently in this residential community. Nearby college students help them grow their own food, while providing acceptance and encouragement. Shiloh Field $10,000 Shiloh Field is the largest community garden in the country, bringing people together to harvest chemical-free fruits and vegetables to feed those living in poverty. KidKnits $7,500 KidKnits supports sustainable employment for vulnerable families in developing countries. Through the fair trade import of handspun yarn from women living and working in poverty, KidKnits offers unique craft kits with a comprehensive learning curriculum that inspires kids to change lives around the world. Racine Coalition Against Human Trafficking $6,500 A network of local resources collaborating to increase communication among providers, identify gaps in services and provide advocacy support for victims while preventing conditions that foster human trafficking in Racine County through education and outreach efforts. Mt. Hope Sanctuary Inc. $6,200 Mt. Hope Sanctuary Inc. provides transitional housing, life-changing programs and support services to single women and their children. Women live free of charge in the Mt. Hope “Sanctuary,” where they master the skills needed to eventually live on their own. Equine Assisted Therapy, Inc. $5,000 Equine Assisted Therapy, Inc. provides horsemanship experiences to persons with mental, physical and psychological disabilities in order to enhance the quality of their lives. Hawaii Wildlife Fund/Marine Debris Prevention and Removal Projects $5,000 Hawaii Wildlife Fund is dedicated to the conservation of Hawaii’s native wildlife through research, education and advocacy. Its team of educators, conservationists, researchers, naturalists, communities, volunteers and donors is devoted to the protection of Hawaii’s fragile marine ecosystem and inhabitants. Inland Seas Educational Association $5,000 Inland Seas Educational Association is a leader in stewarding the study of the Great Lakes and inspiring the passion to protect the body of water as a valuable resource. Each year, over 5,000 students board a sailing vessel and participate in collecting data, studying marine life under a microscope and developing an understanding of environmental awareness. Kids Saving the Rainforest $5,000 Kids Saving the Rainforest encourages awareness of the critical importance of saving rainforests for the survival of our planet. KSTR invites schools, children’s organizations and individuals throughout the United States and abroad to further its purpose by learning about the rainforest, doing projects that raise money for KSTR and spreading the message further by educating others. Moose Charities for Mooseheart Child City $5,000 Moose Charities for Mooseheart Child City provides the resources needed to support Mooseheart Child City, a residential childcare facility that is home to children and teens in need, from infancy through high school. The Gatehouse Grapevine $5,000 The Gatehouse Grapevine provides a safe environment for women and children in crisis to walk a path toward permanent change. The community houses up to 96 families and includes a community center, on-site counseling, a general store and walking trails. Girls on the Run of Western Colorado $2,500 Girls on the Run of Western Colorado empowers third- through fifth-grade girls to make healthy lifestyle choices while training for a 5K event. They learn to be confident in making the best choices for themselves, while having a positive impact on their community and environment. Kids Living Brave $2,500 Kids Living Brave supports the families of children living with cancer through emotional support, community awareness and educational outreach. Through this support, families learn to adapt to the many changes in their everyday lives and can better cope with challenges ahead. 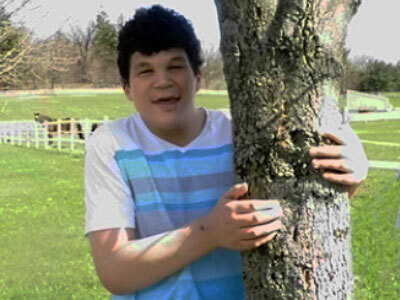 Sheltering Tree $2,500 Sheltering Tree provides residential and independent living for individuals with developmental disabilities to foster independence and empower all persons to achieve their dreams. The D.O.C.K. $2,500 The D.O.C.K. provides a safe place for at-risk students, 6th through 12th grade, to come after school to spend time with friends, play games, craft, study and have a substantial snack while experiencing a feeling of hope for a better life. S.C.A.R.C.E. $1,000 School & Community Assistance for Recycling and Composting Education. 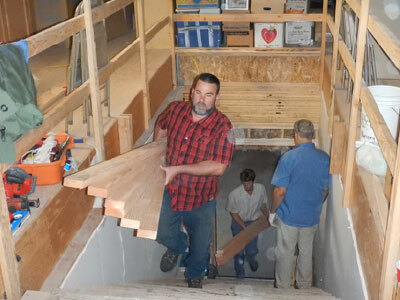 This program inspires people, through education, to preserve and care for the Earth’s natural resources, while working to build sustainable communities and teaming with local groups to recycle and properly dispose of many consumer products. Faith, Hope & Love, Inc. / Emergency Duffle Bags for Children in Crisis $7,500 Faith, Hope & Love, Inc. reaches out to children of Racine and Kenosha Counties, WI, who have been abused, abandoned and neglected. Emergency duffel bags are distributed to law enforcement agencies, foster care workers, women’s shelters and homeless shelters. The duffel bag takes the place of the garbage bags that usually hold these children’s clothes.  Artemis House Victims of Violence Intervention Program $5,000 The Artemis House Victims of Violence Intervention Program provides services and shelter for the purpose of striving to achieve violence-free communities. Its mission is to help those affected by domestic violence and sexual assault and offer education, advocacy and awareness to the community. Civil Society $5,000 Founded in 1996, Civil Society is a principal combatant in the war against human trafficking. Its overall objective is to eradicate sexual slavery and labor exploitation in Minnesota. Kenaitze CASA Program $5,000 Kenaitze CASA Program matches trained adult volunteers with children going through the tribal and state court systems who need assistance and, often, have nowhere else to turn. The volunteer’s role is to create consistency in the child’s life and ensure the child is appropriately represented and heard in court proceedings. New Life Centers of Chicagoland The B.L.I.N.G. Program $5,000 The B.L.I.N.G. program (Building Leaders In the Next Generation) provides a safe, fun, creative outlet for at-risk youth of Chicago, while providing an avenue for the youth to make an honest income. Royal Family Kids Pay It Forward, Des Moines $5,000 Royal Family Kids Pay It Forward offers a week-long camp for children in the foster care system where they get the royal treatment, including birthday parties and gifts, swimming, fishing, even a royal tea party with fancy dresses and suit jackets for the kids. Child & Family Support Center $4,000 The Child & Family Support Center provides a safe haven for abused, neglected and abandoned children. They provide a place to stay, food and clothing, if needed. They also have classes and counseling, giving the children love and a safe place until they can be placed in foster care or back in their homes. Alliance for Children Everywhere $3,000 The Alliance for Children Everywhere strives to greatly improve the quality of life by helping to provide basic necessities to more than 200 children. Those necessities include running water, meals, toilets and electricity. When the basic needs of these children are met, they are better able to form and realize their dreams. Turningpoint for Victims of Domestic and Sexual Violence $3,000 Turningpoint for Victims of Domestic and Sexual Violence uses community support and education to free and empower victims of domestic or sexual violence. Especially Needed $2,000 The goal of Especially Needed is to improve the quality of life for individuals with special needs. 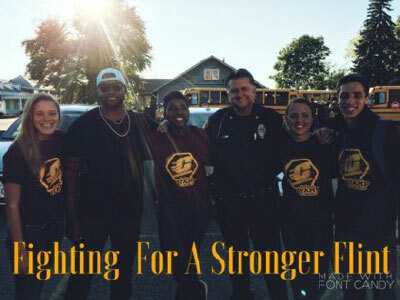 Rockford (IL) Sexual Assault Counseling $1,000 Provides 24-hour crisis intervention, counseling services and advocacy support for survivors of sexual assault and abuse and their significant others. The Life Course Initiative for Healthy Families $5,00 This innovative community-academic collaboration is designed to improve local conditions that lead to healthier birth outcomes among African American families in Kenosha, Milwaukee and Racine. Project Oz $3,500 Project Oz provides counseling, education and career planning, student support services, safety planning, and healthy living strategies to students and families in the Bloomington, IL, area. Kenya Women’s Prison Ministry $2,500 The AIDS epidemic in Kenya has left many families with only one parent, and many women are street vending to make the $1per day needed to feed their children. However, selling without a vendor lincense is illegal and punishable with prison time, so Kenya Women’s Prison Ministry uses funds to start crafts/businesses, vocation training/councling and to help a woman purchase a business license. Scleroderma Foundation $2,000 The Scleroderma Foundation is committed to finding a cure to this auto immune disease that over produces collagen in the skin, organs, lungs, kidneys, esophagus, GI tract and small arteries causing self amputation and hardening of internal organs. Grace Clinic $1,500 Grace Clinic provides free medical exams, therapy, advice, medications and treatments those in the community who can not afford medical care. Literacy Volunteers of Flathead County $1,000 Literacy Volunteers of Flathead County provides opportunites for children, teens and adults to learn to read, take English as a second language classes and educates them on basic life skills. © Norwex Foundation | All Rights Reserved. | The Norwex Foundation for a Brighter Future is an Incorporated Nonprofit in the US and Canada.